ℹServices offered are Cognitive Assessment, Counselling, CTP, DVA, EAP, Injury Recovery, Life Coaching, Medicare, Positive Psychology, Private Health Fund, Psychological Testing, QLD Workcover. Dominika is currently practicing as a registered Psychologist. She completed her undergraduate degree in Psychology, with honours at Griffith University in 2012 and her clinical master’s degree in 2018. She is also in her final year of clinical PhD. Her research focuses on innovative behavioural and cognitive interventions in the treatment of anxiety disorders and in particular Obsessive-Compulsive Disorder. Dominika has worked with clients with a variety of different issues including anxiety, phobias, OCD, depression, trauma, relationship difficulties, stress management, drug and alcohol misuse, psychosis and more. She has been helping clients of all ages and from different backgrounds. 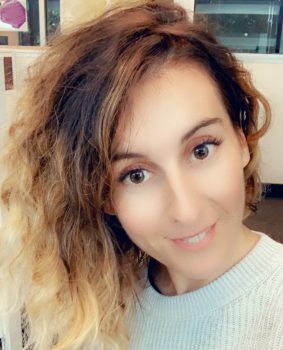 Dominika has also worked as a lecturer at Griffith University and frequently presents at Psychology conferences and workshops. She is also a published author in anxiety and OCD research. Her aim is to provide clients with evidence based treatment that fits with their values and needs. This includes Cognitive Therapy, Behavioural therapy, Schema Therapy , Mindfulness, Acceptance and Commitment Therapy and Intensive Short-Term Dynamic Psychotherapy. Dominika is passionate about helping clients to effectively cope with their difficulties and building their resilience in caring therapeutic environment.